Stencilled Summer (here to see process). 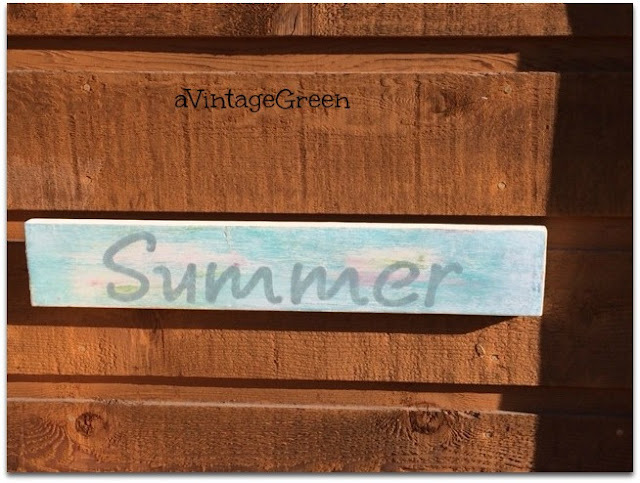 Underpainting is layers of CeCe Chalk-clay paint with Heirloom Fusion used for the letters, clear waxed. Vintage wooden hanger painted with Fusion Heirloom and stencilled DREAM, holding a vintage pink flowers embroidered table cloth. 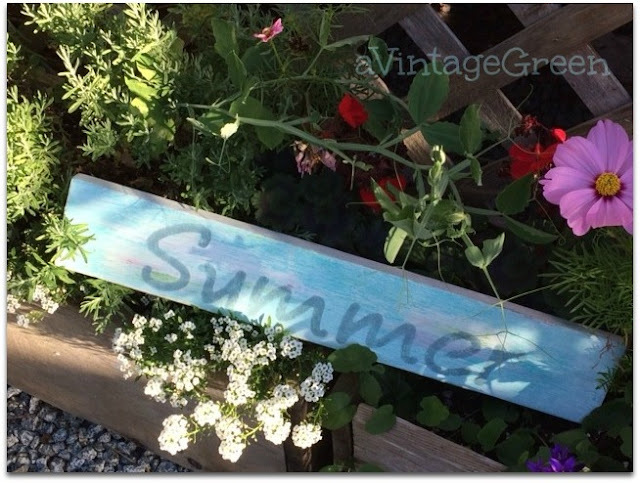 Well used and a bit rusty - Clipboard with Heirloom stripes, Rust-o-leum chalkboard paint and stencilled RELAX, displayed with a baby blue footballer planter. 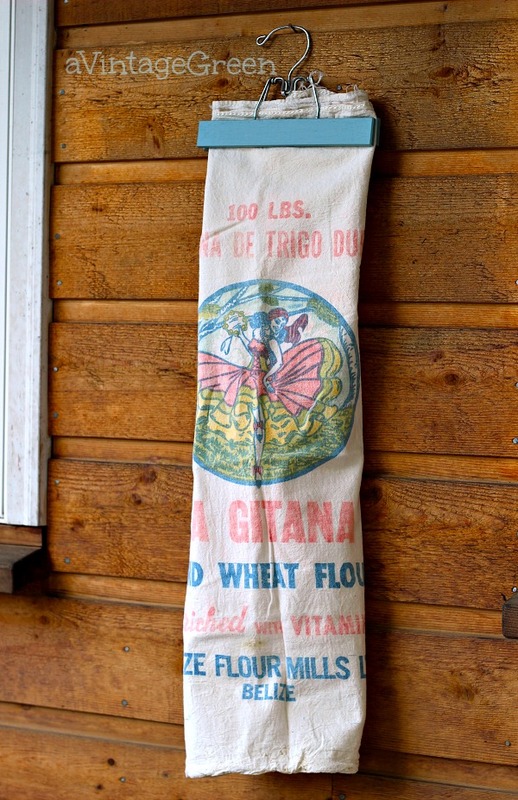 Pant hanger painted in Heirloom, holding a thrifted vintage flour sack (found at a the Hospital Thrift Store mentioned here). I know, I didn't stencil anything on the pant hanger, whoops. 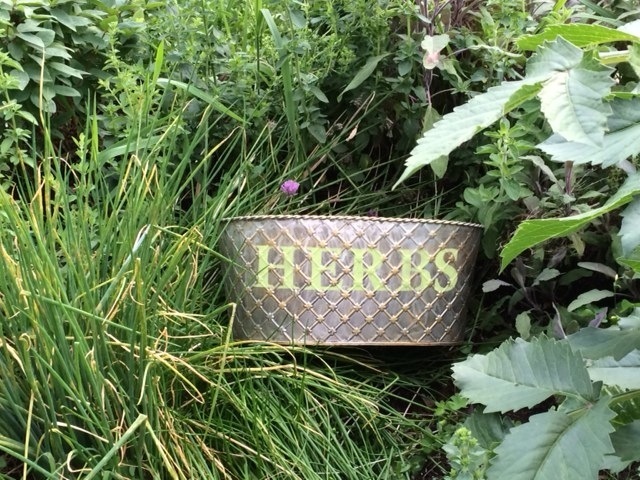 One more quick project - I used a stencil my sister helped make (on her Cameo here) - HERBS - stencilled on an old tin container, nestled in with my garden herbs. 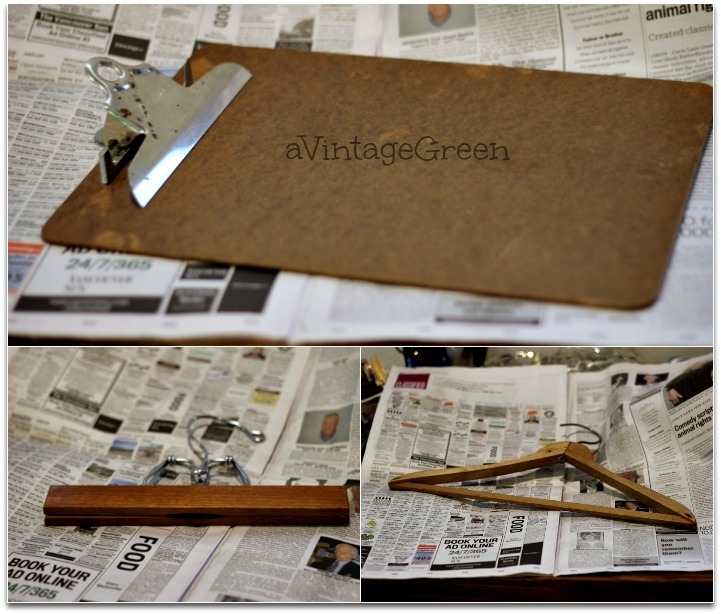 Thrift Store wooden coat and pant hangers and another clip board from the 'free box' were ready for repurposing. I like your clipboard makeover. I found a bag of mini clipboards with a cute pattern at a garage sale and placed them in my booth. They aren't moving. Maybe a mini makeover would help! your stripes are super cute! You are really good at stenciling! Love the clipboard and the hanger! Smart lady. You have created some very nice, useful things. Hi Joy, I love to repurpose things. The hangers are fun and blue!!! The stenciling looks very nice. I love that look, The pants hanger with the towel is my fave. Great projects. I remember those old wood pants hangers. Wish I had some. I'm following you now. Come over and visit my Blue Monday garden. 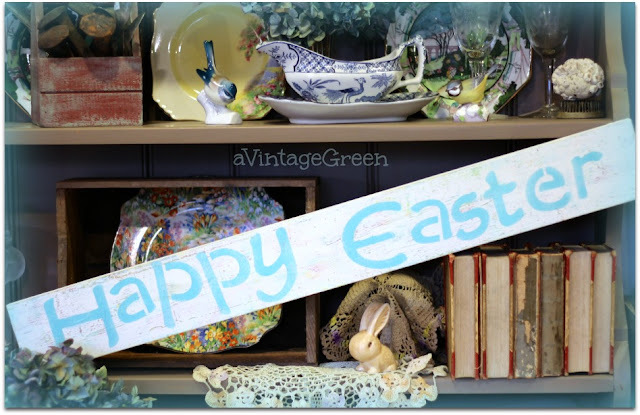 I loved all of the antique looking projects! 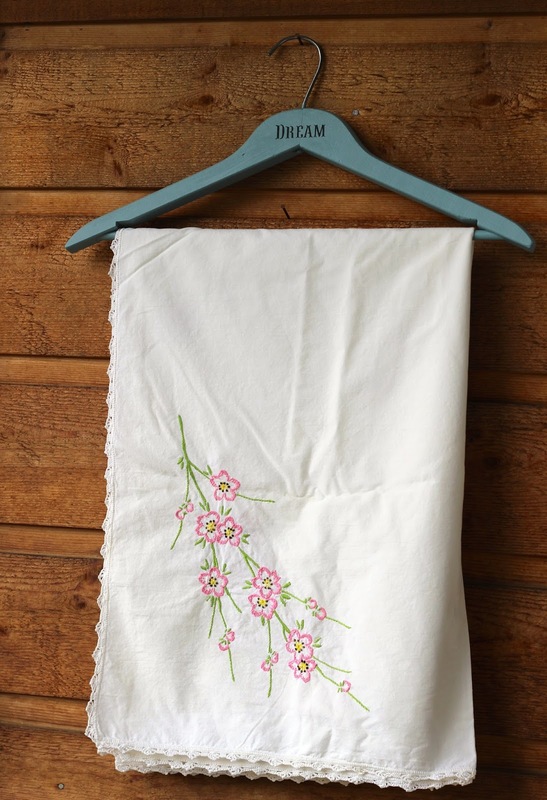 These might be quick projects but they are so pretty!! It would be difficult for me to choose only one, but maybe the flower pot would be my pick as I can't make that kind of stencils with my Cameo. Joy, I stop by again to let you know your post has been the most seen this week, congratulations!! Don't forget to stop by and grab your button, have a lovely weekend! I love each one of these, Joy. Simple projects are my favorite! Pinning. Thanks for sharing your creativity at Snickerdoodle Sunday.